Chaos reigned in northern Shan State in September. 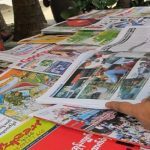 A Burma Army commander threatened to kill everyone in Na Leng Village, the Restoration Council of Shan State (RCSS) and its armed wing, the Shan State Army-South (SSA-S), has been fighting Kachin, Ta’ang, and other Shan ethnic armies, and Burma Army attacks are increasing post-rainy season. The result is civilians being injured and killed, caught in the middle of this total war. There were at least seven civilian and soldier deaths and 26 civilians and soldiers injured in military battles in September. This fighting has displaced more than 2,185 civilians in northern Shan State. 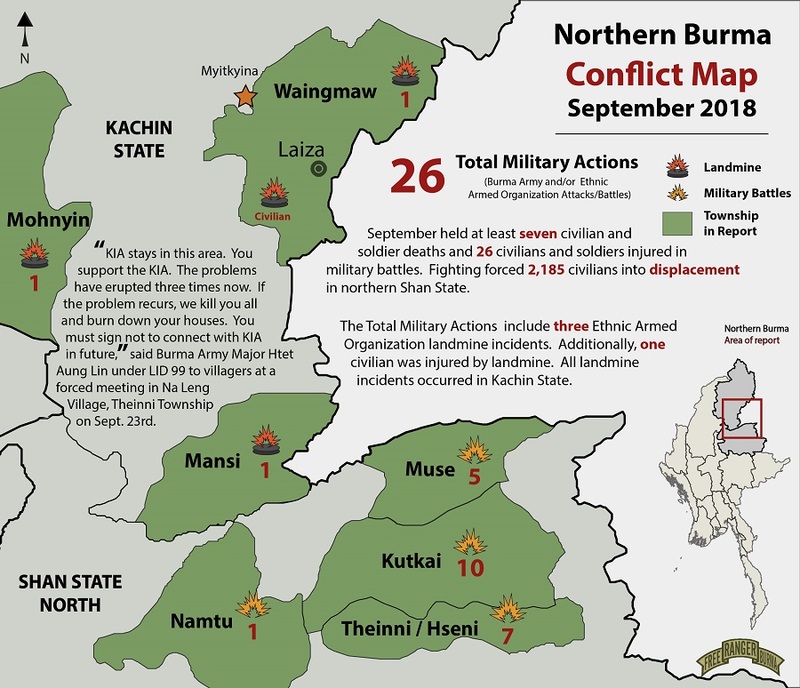 The 26 military actions documented in September in Kachin and northern Shan states is a conservative account and one exclusive to Burma Army and ethnic armed organization (EAO) troop-on-troop engagements, not troop-on-civilian attacks. The military actions included three EAO landmine incidents and one account of a civilian injured by a landmine. The person stepped on a landmine while foraging in the jungle in Waingmaw Township. 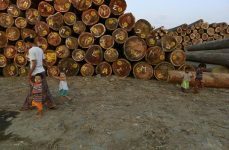 Elsewhere in Waingmaw, the Burma Army laid landmines in three villages, displacing the remaining households and leaving the villages uninhabitable. Various checkpoints along roads and rivers were erected by Burma Army units and EAOs throughout the month, severely impacting law and order and civilians’ sense of security and justice. Seven of the ten checkpoints forcibly taxed civilians between Ks 2,000 to Ks 500,000. Three of September’s battles occurred in Kachin State, and in previous years Kachin usually has more intense fighting than in Shan State. 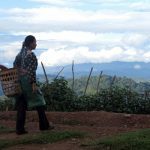 While conflict areas in Burma can be unpredictable, the last seven years of fighting suggest attacks in Kachin State will increase. Kutkai Township held the most clashes throughout September, with single clashes occurring on the 1st, 3rd, and 15th, four clashes on the 28th, and three clashes on the 29th, all totaling 10 troop-on-troop battles. Burma Army Infantry Battalion (IB) 77 under Light Infantry Division (LID) 88 battled on Sept. 1 with the TNLA at Man Sa Village in Kutkai Township, according to KIA reports. A major battle occurred on the 3rd when the TNLA was ambushed by Burma Army soldiers hiding in a civilian’s home, killing five TNLA soldiers instantly and wounding 15 others. On Sept. 15 a clash occurred between approximately 200 Burma Army soldiers from LIDs 11 and 99 against the Myanmar National Democratic Alliance Army (MNDAA). 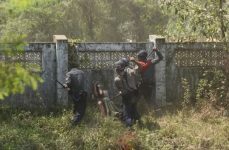 On the 28th, Burma News International (BNI) published a report from the TNLA about four attacks that took place throughout the day, with Major Mai Aik Kyaw of the TNLA claiming the Burma Army entered TNLA territory. The 29th held a series of encounters between the Burma Army and EAOs that impacted civilians. TNLA troops erected roadblocks in Kutkai Township at 0400 in the morning and “taxed” vehicles between Ks 100,000 and Ks 500,000 from passenger cars and goods supply vehicles. A battle ensued at the checkpoints when two vehicles with Burma Army Pyitutsit (P.T.T.) militia troops arrived. Another battle occurred between Burma Army troops and police at Mung Baw Bridge. The Burma Army banned the Muse – Lashio road after the battles. Elsewhere on the 29th, a battle occurred between Burma Army soldiers and the TNLA at Pung Htun Man Ping Village in Kutkai Township that caused 185 civilians to flee to a Kachin Baptist Convention (KBC) church and Buddhist monastery at Sinli Village. A 19-year-old woman and two Kachin boys were seriously wounded in the crossfire. One school, four Kachin houses, and one Chinese house and car were damaged, catching fire after Burma Army mortar rounds were fired into the village. 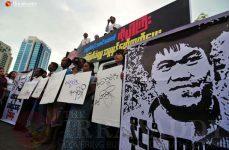 On Oct. 1, villagers returned to their homes. On the 23rd, Burma Army Major Htet Aung Lin from LID 99 ordered villagers in Na Leng Village, Theinni Township, to the village Roman Catholic Mission (RCM) church to make an announcement: “KIA stays in this area. You support the KIA. The problems have erupted three times now. If the problem recurs, we [will] kill you all and burn down your houses. 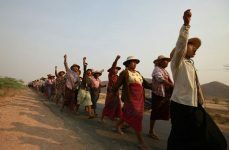 You must sign not to connect with KIA in future.” Burma Army soldiers searched several villagers’ houses after the meeting. On Sept. 6th, a battle occurred between two Burma Army units, LIB 418 and IB 79, and MNDAA units between Len Lin Village and Lau Yi Village in Theinni Township. Later that day, between 1600-2100 hours, the combined troops of TNLA and MNDAA clashed with the troops from LIB 418 and IB 79 between Len Lin Village and Lau Yi Village in Theinni Township. The following day at 1500, the Burma Army sent its wounded soldiers by a truck to Lashio hospital. Over 2,000 villagers were displaced on Sept. 1 when battles occurred between RCSS/SSA-S units against the combined TNLA, Shan State Army-North (SSA-N), and MNDAA units in the Mung Myit area. The villagers fled to the Mandung area to relative safety. The RCSS/SSA-S has been active during the last year against other EAOs, and the RCSS/SSA-S has received direct military support from the Burma Army against EAOs, while also engaging the Burma Army in battle elsewhere. There were five Burma Army and EAO troop-on-troop battles in Muse Township on September 12th, 13th, 19th and 30th. Burma Army LID 11 engaged soldiers from the Kachin Independence Army (KIA), Mungshawa Kanawn Mazum Hpung (MKM), a Kachin militia, the TNLA and the MNDAA. On the 30th the KIA reported that 70 soldiers from Burma Army LIB 218 under LID 11 attacked Mung Noi Bum Post near Kawng Lim Village, forcing the KIA to abandon the post. On September 6th a Burma Army unit stationed at Kawng Sahti and Htai Kawng erected a checkpoint and forcibly searched vehicles, extorting Ks 2000 per truck in Muse Township. On Sept. 28 a Burma Army IB 15 troop column stepped on a KIA landmine that wounded six Burma Army soldiers. On Sept. 28 a Burma Army IB 78 group of soldiers stepped on a KIA landmine near Maji Gung Kaba in Mansi Township. On Sept. 10 Burma Army soldiers from IB 259 stepped on a KIA landmine, injuring two soldiers, who were taken to a military hospital shortly after. On the 16th, Burma Army soldiers stationed at Hka Ya Bum laid landmines in Zi Kahtawng Village and Hka La Village around Nam San Yang. They banned people from going to and from the village and drove three households from the area. There are no more villagers in Nam San Yang now according to the KIA. On Sept. 6th, Burma Army soldiers from IB 297 stationed at Nawng Mi Village forced civilians to repair the soldiers’ base. As the forced labor was in progress the soldiers extorted money from civilians as they passed the nearby road. On the 12th, Burma Army soldiers from IB 238 arrested over 50 miners and confiscated their tools in Mung Hkawm, Htang Bra mining area. The soldiers attempted to extort Ks 100,000 per person to have their tools returned and to be released. On the 13th, at 1700, all of the civilians were released. 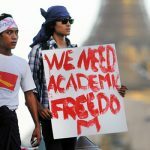 Jump-starting the stalled peace process: Is Revitalization of the 1961 Federal Amendment Proposal the Way to Go?